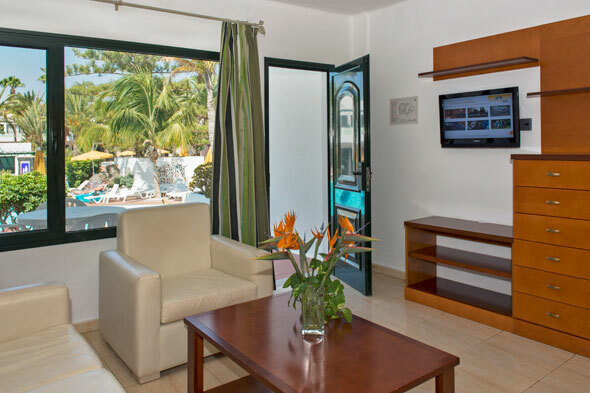 Playa Club Apartments are an oasis of tranquillity in the resort of Puerto del Carmen. In an area of 17,000 m2, spacious landscaped gardens are evenly distributed, featuring a large solarium with natural lawn surrounded by palm trees, 145 apartments in two storey buildings, and two swimming pools for adults and children, both heated from November to March inclusive. 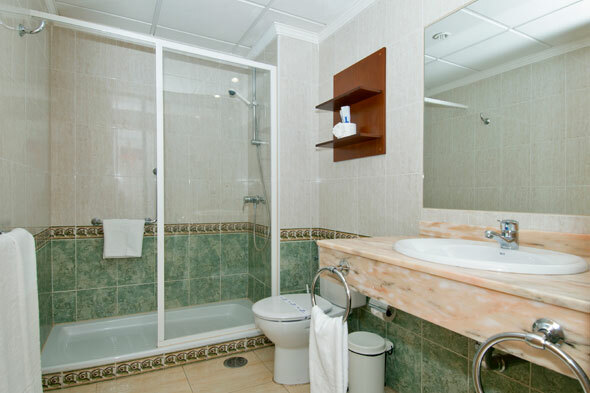 From the garden area of Playa Club Apartments you gain access to Aquarsis Wellness Center, that has been awarded the label “Wellness Delight” by the Tourism Board of the Canary Islands Government. 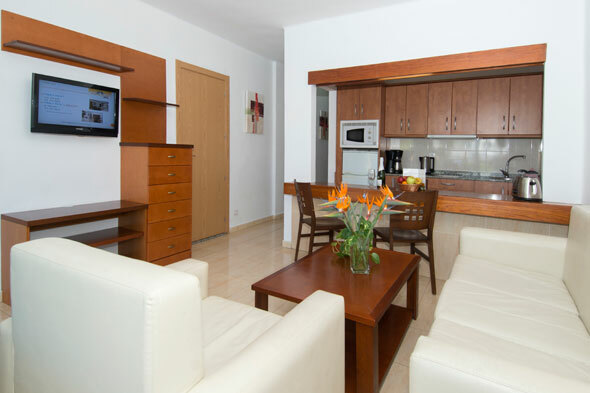 Playa Club Apartments is a traditional establishment in Puerto del Carmen, Lanzarote’s prime tourist zone. 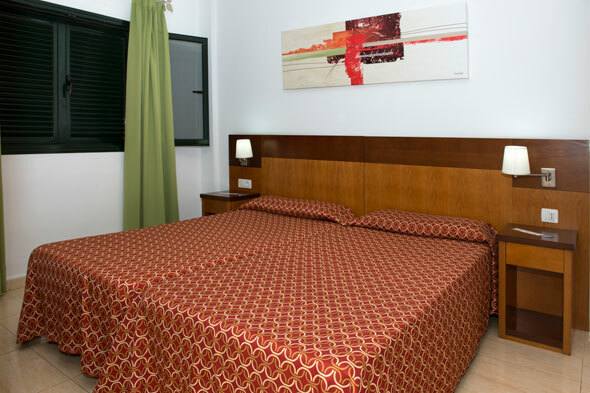 Our location is privileged for being in the centre of the Avenida de las Playas, the main commercial artery. Our customers have convenient access to the best restaurants, bars, boutiques, perfume shops, supermarkets and other stores. . This wide beach of golden sand and calm waters is every year distinguished by the European Community with the blue flag.